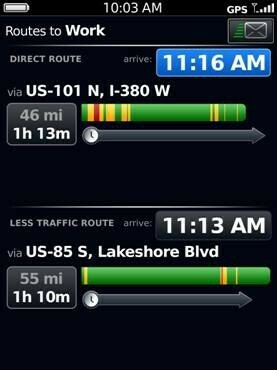 BlackBerry Traffic is a neat app that helps the owners of RIM smartphones to avoid traffic jams, choose the quickest way to get from point A to point B with their cars, get ETA (estimated time of arrival) information and other goodies. 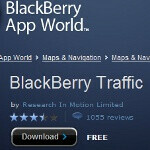 The new version of the app (BlackBerry Traffic 2.0.0.1749) is now available for download, and not only it offers new features, but also improves existing ones. 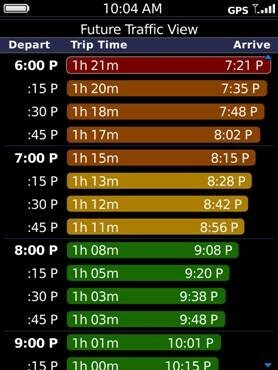 One of the new perks is that you can pick two routes and choose between them thanks to the new future traffic view feature, which gives you ETA information based on the projected traffic conditions. You can also choose pre-set destinations, and get ETA estimations to addresses from your contacts, or to places you have chosen manually. Once you get your ETA info, you can easily share it via SMS, e-mail or PIN message, so your pals don't have to wait nervously for you to arrive. All you have to do to receive the update is to hit the source link and have a BlackBerry smartphone with a data plan and a version of BB OS 4.6 or above.